One reason so many people buy Nissan vehicles is that this automaker builds them to last. That means if you’re searching for used Nissans under 10K, you’ll have no problem finding an incredible selection. However, for the best cars, trucks, and SUVs at the lowest prices, you want to visit a trusted dealership near Slidell, LA. When it comes to used Nissans under 10K, you might start by checking out a 2009 Altima. Especially if you need a stylish and reliable vehicle for family transportation, this sedan fits the bill. As for power, this year’s Altima has a 2.5-liter engine with a CVT transmission. You can easily merge into traffic, pass other cars, and enjoy a smooth and comfortable ride. For something with even more to offer, there’s an excellent chance a reputable dealership near Slidell, LA, could have a 2012 Altima that is also less than 10K. Even with the same engine, you’ll enjoy fuel efficiency of 23 mpg and up to 32 mpg on the highway. If you need a trusted vehicle for taking long road trips, this choice makes an exceptional option. This car also has an abundance of standard infotainment, technology, and safety features. Another possibility among Nissans under 10K is a 2013 Leaf. This vehicle boasts 16-inch alloy wheels, automatic climate control, heated door mirrors, heated front seats, a navigation system, and a leather-wrapped steering wheel. Even at such a low price, you’ll also enjoy a panic alarm, remote keyless entry, speed control, electronic stability control, and much more. Then there’s also a 2012 Juke to consider when you are searching for Nissans under 10K. This compact SUV provides more interior space than you might imagine as well as a smooth ride. Along with an affordable sticker price, you’ll spend even less when you stop to refuel thanks to its fuel efficiency of 25 mpg in the city and up to 30 mpg on the highway. As you can see from the few examples provided, there are plenty of excellent Nissans that cost less than $10,000. For used or certified pre-owned cars, trucks, and SUVs that go through extensive testing before making it on the lot, it’s important that you do business with the right dealership near Slidell, LA. 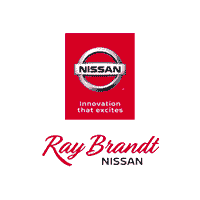 At Ray Brandt Nissan, located in Harvey near Slidell, LA, you’ll discover more than you thought you would find in a quality used vehicle. Call or stop by today to meet with a seasoned salesperson who will assist you in finding the perfect automobile for your specific needs.